This year’s Eat Vancouver event took place at BC Place, unlike the past two years where it was held at the Convention Center. It was my first time going into BC Place after the renovation, and I have to say, the roof reno is quite impressive thanks to Stantec. I found that this year’s event was not too much different from the other years. Unfortunately, I was not able to attend any of the shows or tastings (beer, cheese, etc). But still a good time with good company, including my bf, Cam, and Chanel. 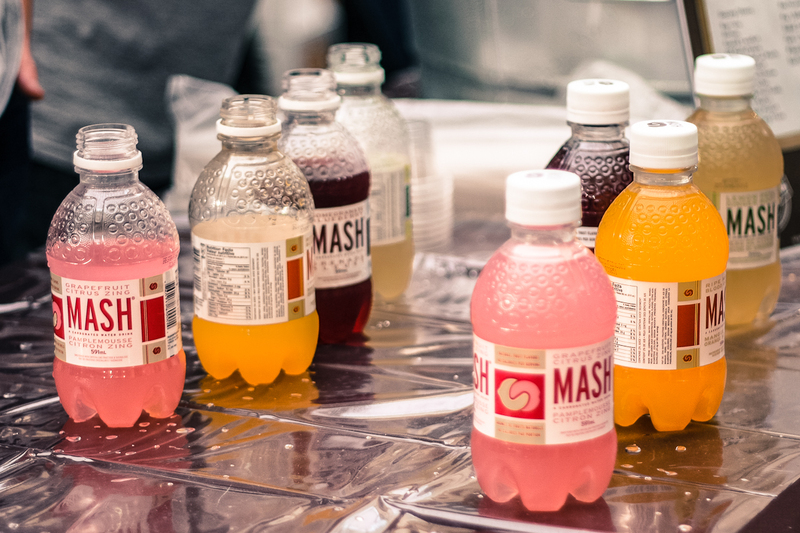 My first stop was at MASH (a Boylan product), which is a low calorie flavoured water drink. It’s very much like the Glaceau Vitaminwater, but tastes more fruity and lightly carbonated. Did it taste good? It was okay, better than the Glaceau one, but I don’t really drink these. Either water or juice, I don’t need an in-between. MASH, lightly carbonated flavoured water. 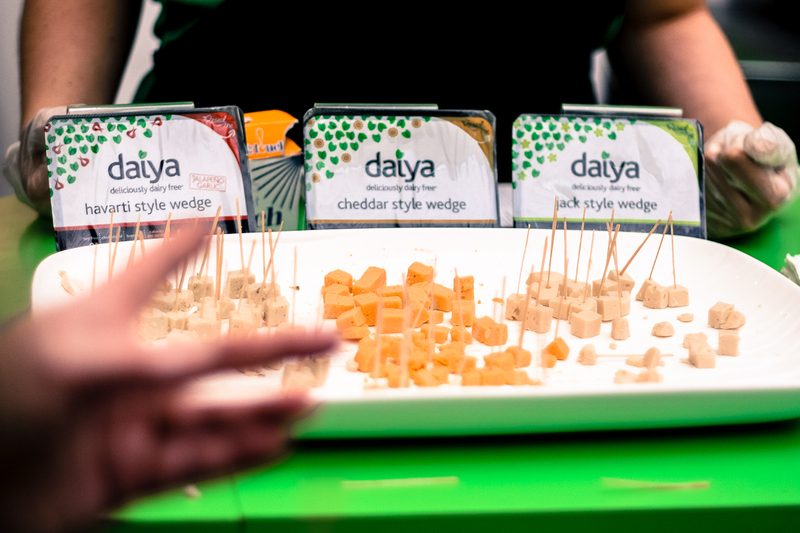 Daiya is a vegan cheese company that gave samples of both blocks of their product and how it could be used in your regular food items — great way to directly introduce a product into the consumer’s daily routines. When trying the bite-sized blocks, it gave a very generic processed cheese taste, with an odd texture. But, when put into a grilled cheese, or a toasted tortilla and melted, it’s very delicious. Strange. Don’t eat it like that! Melt it on a panini or make a grilled cheese! This was the strangest product I tried at the event. Huitlacoche is a mushroom that grows on corn husks…I never even knew that could happen. The lady called it “Azteca Caviar”. 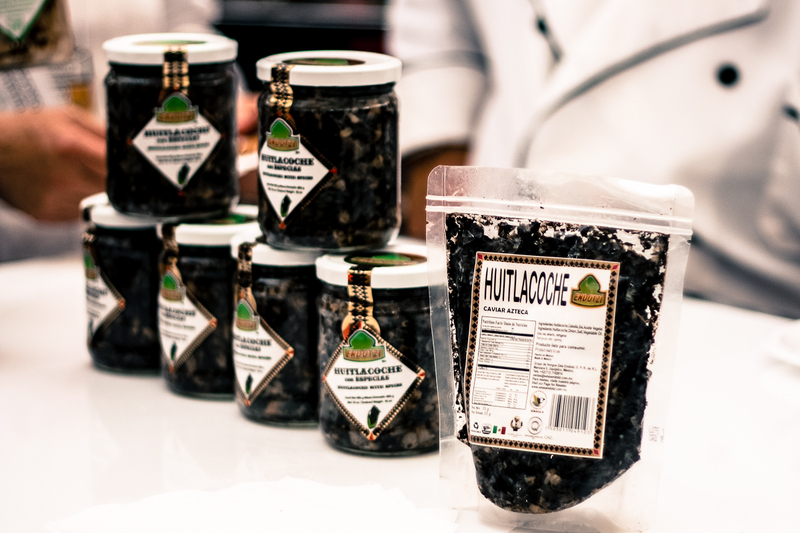 The product looked like and had the texture of black mush, being served on tortilla chips. It had a bit of an oyster and truffle taste to it. Sounds decadent right? Unfortunately I wasn’t a fan. Would you like to try some Azteca Caviar? One of my favourites at the event was a product from Sweet Tree Ventures, which was a birch syrup. The birch syrup itself is a little overpowering for me, if it was used on pancakes/waffles or desserts. 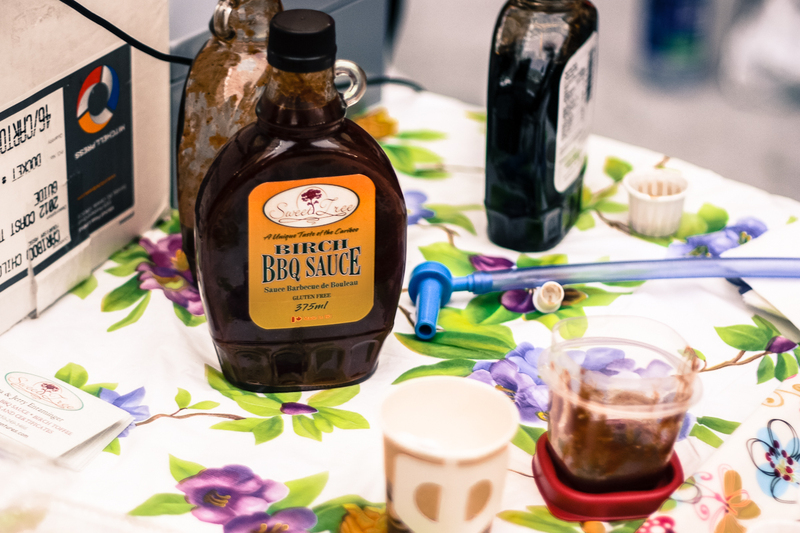 The flavour comes off very woody and smoky and spiced; I like my syrups to be sweet. So instead they created a whole BBQ sauce line which is bloody fantastic. I will probably go hunt this down on Granville Island (apparently they sell it at Edible Canada). Next up we have Le Grand’s Pesto. I only got a chance to try their 4 Nuts & Cheese flavour, served on a sesame cracker or something similar. The product tastes exactly like what the name says, nuts and cheese, but with a bit of basil as well. My friends tried some of the other flavours as well, sounds like they’re probably going to purchase the product. Can’t imagine all the things you could do with it — use it as a pasta sauce, marinade, spread, etc. Delicious creativity in a convenient bag. 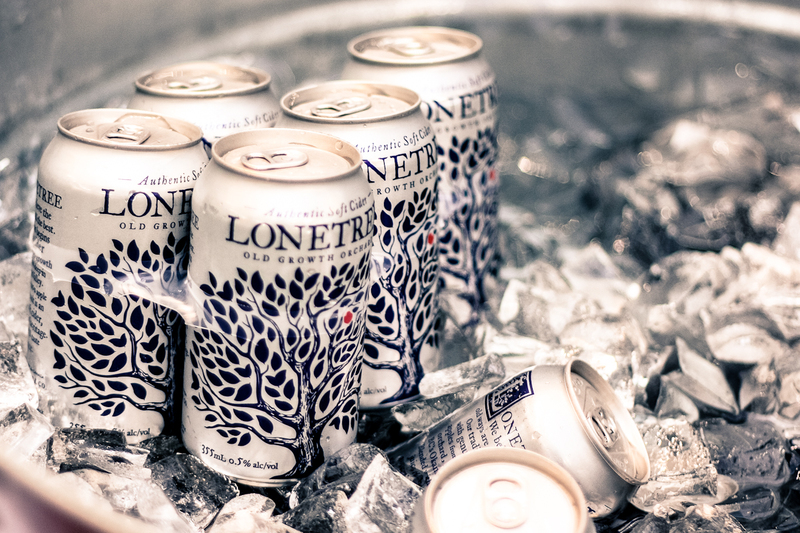 Lonetree’s dry apple cider was probably my favourite product of the event. The apples are sourced from the Okanagan Valley- yay for it being a 100% BC product. And I really love the packaging — simple, but very classy. Having a sip of this after staring at the computer for endless hours would be blissful right now. The drink is carbonated, not to the point where you feel tears stinging your eyes and it just tastes really crisp and fresh, with the last lingering taste in your mouth to be the aroma of apples. Love it, will be purchasing. 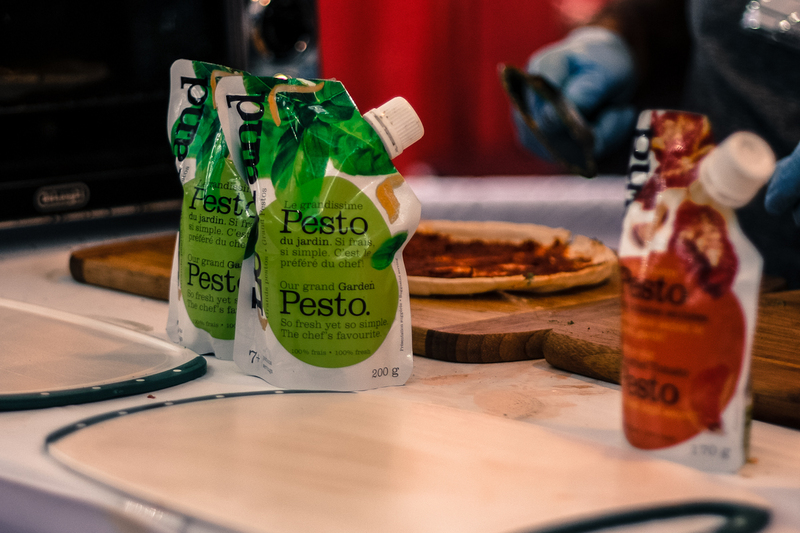 Favourite product and packaging at Eat Vancouver this year. 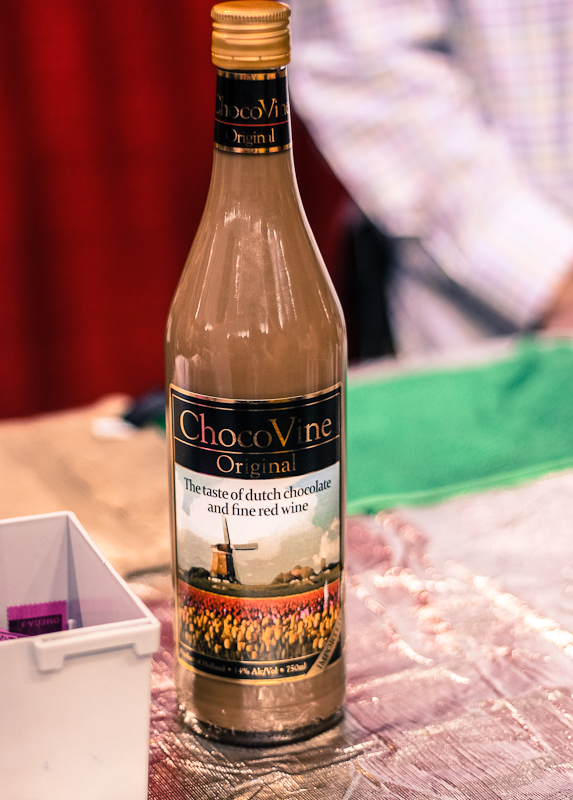 Chocovine, is a red wine/chocolate beverage. I have mixed feelings on the product, as I like it not because of what the product is…but because it reminds me of chocolate milk. Because it tastes so much like chocolate milk, it almost feels like you’re wasting red wine. Cool to try, but would probably not purchase this on my own. Now for some Red Racer products. 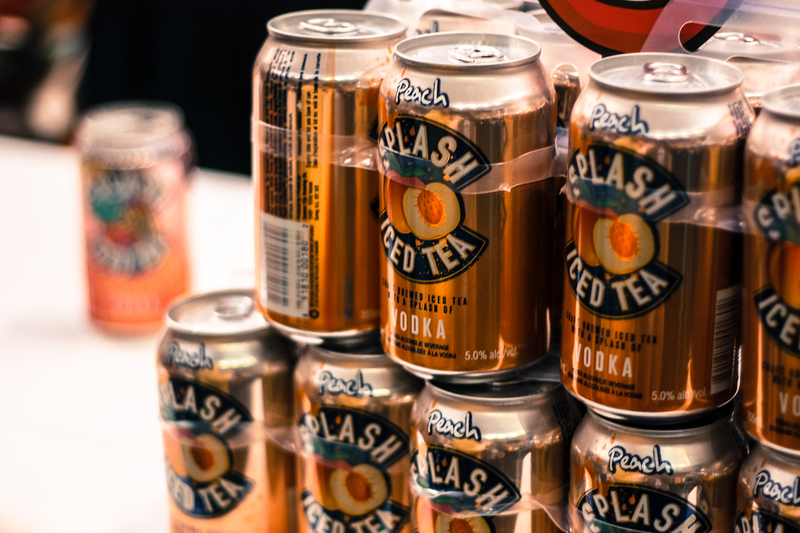 Their Splash Iced Tea (at last year’s event too) has a bit of vodka and includes three flavours: peach, strawberry pineapple, and blueberry & white grape. You can’t really taste the vodka if that’s what you’re after, but it is a refreshing drink. My favourite of the three is the blueberry & white grape, as it tastes a little less sweetened than the other two. It’s a great alternative to having a beer if you’re at a BBQ. Splash Iced Tea with vodka from Red Racer. 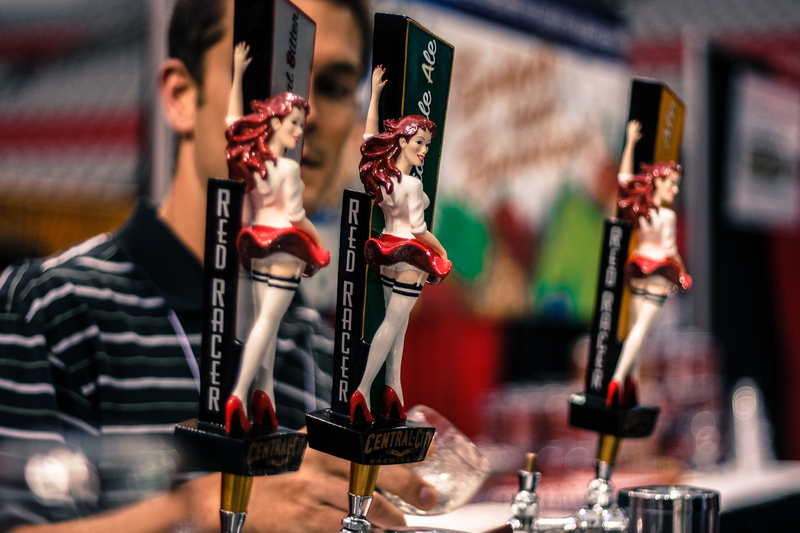 And my first try of the ale from Red Racer…did not like it. It’s not because I don’t like ales, I love them (don’t like lagers though), but this just tasted incredibly watered down. Will probably not be ordering a Red Racer beer anytime soon.. I decided not to review the restaurants that were at the event as the items I tried were very mediocre. Also, for the most part the restaurants are pretty similar to the ones from last year as well. I had one unpleasant encounter at the VanHoutte booth. I was almost scolded to put the chocolate down. That was it. Overall, I had a fairly pleasant experience. Hopefully next year’s event will have more new products and different restaurants participating. All photographs were taken by my bf. My shots would have come out wonky because I was too busy eating.